Christianity is one-sided in its preoccupation with spiritual matters; it is exclusively concerned with the salvation of peoples souls in the hereafter. But what does it have to say about life in this world – especially about social and political matters? The separation of state and religion is alien to Islam; it is a Western and Christian idea. Christianity distinguishes between the things that are Gods and the things that are Caesars. How then should one understand ventures carried out in the name of Christianity such as the crusades and colonialism? Islam understands itself as the final revealed religion, fulfilling and superseding all earlier religions. Judaism is one-sided in its preoccupation with this world; Christianity is one-sided in its emphasis on the spiritual. Islam, in contrast, is the perfect, harmonious religion of the middle way (cf. Quran 5:3 and the reference to d?n wasat at 2:143, which is interpreted in this sense of a mediating religion). Islam concerns body and soul, social, political and religious life, prosperity in this world and in the hereafter. Christianity, on the other hand, sacrifices the body to the soul; it deals only with religion (d?n) and ignores politics and the state (dawla), setting no store by prosperity in this world, but rather laying all its hope on heaven. To varying degrees, such ideas are widespread among Muslims.53 It should be acknowledged that several features of the image which Christianity offered in the 19th century lent support to this grossly oversimplified view. Typical in this regard are phrases like the saving of souls in this valley of tears; a widespread negative view of the body and especially of sexuality, which at times was portrayed as sins chief domain; the concepts of Christianity as a private religion and of politics as a dirty business, and so on. Many Muslims regard monasticism and the practice of celibacy for the sake of the faith as typically Christian phenomena which leave their stamp on the whole of Christianity. They see here an embodiment of a flight from the world (al-fir?r min al-duny?) which the healthy perspective of Islam firmly rejects. It should, however, be noted that this traditional Muslim perspective on Christianity has in recent years undergone a partial change. Muslims often declare their interest in the efforts of the Christian churches to gain a hearing in the sphere of politics and public opinion for issues of peace and justice in the name of the poor, the marginalized and the oppressed. Muslim thinkers are interested in Liberation Theology because it issues a call to struggle against political oppression and social injustice. The unity of God is the central message of the Quran. At the same time, Islam, unambiguously charged by the Quran to practise social justice, has, from its earliest days in Mecca, taken the side of the poor, the orphans and the powerless, and has struggled against their oppression by the rich. From the beginning, the message of the Resurrection and of the Last Judgement proclaimed by Muhammad aimed to warn the rich of the punishment awaiting them if they did not amend their lives. This proclamation, which stretches through the whole Meccan period, attacked a social order dominated by the interests of the rich. It led to the persecution of the small Muslim community in Mecca. Not long after the Hijra to Medina in 62254 a firmly structured community arose around the Prophet. It grew stronger and soon brought Mecca and the whole of Arabia under its power. 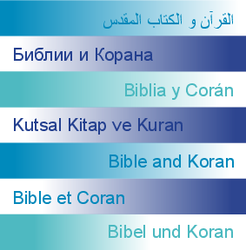 The Quranic revelation during the 10 years in Medina (622-632) is therefore concerned not only with prescriptions for spiritual life (prayer, fasting, virtues and vices), but also with life in society, covering the organisation of the life of the individual, the family and of society as a whole (contracts, marriage, inheritance); the regulation of political life (instructions for the conduct of war and the division of booty, the duties of leaders, the need for consultation); and, finally, laws on everyday matters, including the regulation of the status of non-Muslims. Islam rejects the separation of the spiritual and the worldly (or the temporal); however, it does recognize the distinction between them. The classical treatises distinguish between acts of worship (?ib?dat), which are regarded as unchanging, and social relationships (mu? ?mal?t), which can change. A hadith records the following answer of Muhammad to someone who asked about correct behaviour in the world: You are more knowledgeable than I about the things of this world (Antum a?lamu bi-amri duny?-kum). The commentary of Baid?w?55 on Quran 43:63 adds: This is the reason why the prophets were not sent to explain worldly matters, but only religious matters. In the course of Muhammads lifetime, i.e. during the period of the Quranic revelation itself, a significant development within Islam took place, with the movement from a moral and social vision calling into question existing social structures to the actual establishment of a state religion. In the immediately following period of Islamic history the Caliph (the Prophets successor) became Gods shadow on earth and the commander of the faithful (am?r al-mumin?n). He and his representatives were entrusted with worldly, not primarily spiritual, power, for Islam knows neither a religious hierarchy nor an official teaching office. The Caliphs nevertheless bore religious responsibility for commanding the good and forbidding the evil (al-amr bi-l-ma?r?f wa-l-nahy an al-munkar). According to Louis Massignon (1883-1962), Islam is an egalitarian lay theocracy. Since the creation of modern Muslim states Islam as religion and state (d?n wa dawla) thus naturally evolved into the state religion (d?n al-dawla), with a few exceptions such as Syria or Yemen. On the other hand, outside the Arab world a number of states with populations including large Muslim majorities are organized on secular principles and appear to wish to remain so (Turkey, Senegal, Mali, Niger, etc.). These ideas have found an echo in Egypt, Syria, the Maghreb and Pakistan, not to mention socialist and Marxist thinkers throughout the Muslim world. On the other hand, conservative circles oppose them vigorously.57 They identify the idea of a secular state as a western and Christian heresy, and go so far as to accuse modern Muslim states of disloyalty to the Quran. Countless Muslims fluctuate between these two tendencies of complete integration and total separation of religion and state. On the one hand they value the benefits of a state religion, as long as it provides for religious instruction in schools and counteracts the danger of a decay in religious practice. On the other hand, they also see that a religion established by the state scarcely promotes a genuine, personally responsible faith, chosen for its own sake. Neither the Old nor the New Testament knows anything of a separation of body and soul, or of a denigration of the body. According to the Bible, the human being is a body endowed with life and spirit. According to older biblical conceptions, the whole being goes down to Sheol, the place of the dead. It took a long time for references to the resurrection to find their way into the Bible (Daniel 12:2-3). The resurrection of the righteous is mentioned first in the latest parts of the Old Testament and above all in the Wisdom books. In the New Testament the Resurrection of Jesus and, in him, of believers, belongs to the core of the message. A bodily resurrection awaits human beings. The body will participate in the final consummation of all things as a spiritual body (cf. 1 Corinthians 15:44). When Paul says that flesh and blood cannot inherit the kingdom of God (1 Corinthians 15:50) and that believers should not let themselves be governed by the flesh (cf. Romans 8:4-9), this implies no disrespect for the body and the bodily dimension of human life. Flesh (sarx in Greek) – as distinct from body (soma) – rather signifies human beings in their sinfulness and opposition to God. The point is thus to be led, not by the desires of the flesh, but by the Spirit of God (cf. Galatians 5:13-26). By the Spirit of God the human body is not conquered, but rather made alive (cf. Romans 8:11). Through the influence of the Greek philosophy of Plato (427-347 BC) and of Plotinus (205-270 AD) on Christian thought in the early Christian centuries there developed an emphasis on the human soul in contrast to the human body.58 Christian Gnosticism, which became very influential in the 2nd century, was marked by a fundamental outlook of hostility to the body, the world and history; this certainly had its consequences in Christianity. The Church, however, differentiated itself from Gnosticism. It is precisely the belief that it is not only the human soul that will be perfected but also the body that will be raised that signals the rejection of a one-sided emphasis on the spiritual. Human beings are created by God as body and soul in unity. The whole human person in all dimensions (including sexuality, for example) is to be liberated from the power of sin and death and led to the freedom and glory of the children of God (cf. Romans 8:21). In historical terms, Christianity and Islam have developed in similar ways. Initially, they both proclaimed a spiritual message with social implications, a message which raised questions about unjust political and social structures. In both cases, the very success of the religious message gave them dominating positions in society and led to both Christianity and Islam becoming state religions. (i) Worldly honour and power are rejected in favour of the kingdom of God. My kingdom is not from this world (John 18:36); Give therefore to the emperor the things that are the emperors, and to God the things that are Gods (Matthew 22:21; cf. 17:27), which implies showing respect to the rights and claims of the worldly ruler, whose authority derives from God. Whenever the crowd wanted to make him king, Jesus withdrew (John 6:15; 12:12-36 [Palm Sunday]). The disappointment of the people over Jesus rejection of worldly power was one of the reasons for his death, for they expected a triumphant Messiah. A triumphalistic Christianity, which enjoys worldly power and claims this for itself, contradicts the Gospel. Christianity is the religion of the cross; the only success which it seeks – or should seek – is the conversion of hearts to the one Lord. (ii) Christianity rejects all political and social injustice. Jesus own life consisted of a continuous and often public confrontation with religious and secular power wherever these violated human rights, especially the rights of the poor. This was a further reason for his death. The good news of Gods kingdom, which is particularly promised to the poor, must be given priority over the claims of Caesar, i.e. political power in this world.60 Love of God cannot be separated from love of neighbour; love of ones neighbour is evidence of love of God. In extreme cases this can mean laying down ones life for the sake of ones neighbour (John 15:13; Matthew 25:40; 1 John 3:16; 4:20). Conflicts can lead Christians to the point of self-sacrifice for their brothers and sisters, possibly through resistance to clear injustice. In this sense, political involvement is an essential constituent part of Christian mission. The 2nd Vatican Council turned decisively back towards the spirit of the Gospel.62 It demanded the independence of the Church (and religion) from political authority, and of political authority from the Church (and religion), while it also called for both to work together to resolve questions separating them from each other. At the same time, it claimed the right for religious communities to exercise influence on society according to standards derived from the values of the Gospel.63 For Protestants the Barmen Declaration of 1934 was of particular significance. The Resurrection of Jesus Christ brings in the end of the ages. Eternal life has already begun: I am the resurrection and the life (John 11:25; cf. 5:24; 1 John 3:14; Romans 6:5). This is eternal life, that they may know you, the only true God, and Jesus Christ whom you have sent (John 17:3; cf. 3:15-16; 5:24; 6:40,47). Eternal life has begun, but it is not yet fully present. The Christian lives in the tension between the already and the not yet, because the expectation of salvation in its fullness, through the Resurrection of Jesus and in the Christian faith, has not yet been totally realized. The world must be further transformed by the power of the Holy Spirit, moving towards the closest possible convergence with the will of God. The unity of the human being should be emphasized. The human person is created by God as a unity of body and soul; it is this whole person, not simply the soul, that is created in the image of God. Consequently reverence and respect are due to the body and also to sexuality.